For more than a century, Heineken has shown an impressive amount of perseverance and tenacity in the most difficult of times. The rewards have often been rich. At the same time fraud and other controversial practices have played a significant role in that survival strategy (p.30). Right from the first country case studies in Ethiopia and Nigeria two of the major themes of Heineken’s success emerge: Always align with those in power-regardless what type of government or regime is in charge and use a weak regulatory environment to your advantage when it comes to favours, subsidies, competition or advertisement frameworks. Heineken ‘had developed such good relationships with local authorities (in Ethiopia) that it could claim priority when foreign currency was allocated’ (p.8). And using ‘young and often vulnerable women in order to boost the sales of a non-performing brand’ (p.47) in Nigeria is only one example of (legal) practices at the borderline of promotion, prostitution and enabling sexual violence. Paying journalists for favourable media coverage of branded events like the Nigerian Beer and Health Symposium or investing heavily in branded beautifying projects including renovating schools and other public buildings are but a few examples of how Heineken works to encourage people to buy more of its beer. Relatively few people across Africa drink a lot of beer. Since nearly 70% of African do not drink alcohol and Africa consumes as much alcohol as the rest of the world, ‘those who do drink in Africa do so with a passion’ (p.107). But the Dutch company has been slow in implementing CSR policies and Heineken’s 1-million-dollar annual budget for its Heineken Africa Foundation barely seems more than window dressing. ‘It’s like Shell twenty years ago. They have not thought about the essence of human rights and only react when there are problems’ (p.189), a Dutch civil society activist remarked. In best international diplomacy speak a senior manager tells the author: ‘In order to further embed the policy we need more awareness internally, local analysis and an adequate planning of action (p.192). The state wants beer, the army wants beer, the rebels want beer and the people want beer. What do you want us to do? Beer is what we produce (p.128-129). As much as ‘fragile states’ are discussed in our development industry, brewing beer often defies the logic of breakdown, difficulties and the cost of conflict. If your investments end up perpetuating a regime that is authoritarian, immoral and irresponsible, should you not consider your position? I have never heard anyone in the beer industry complain about where their tax money goes. They pay millions and millions, but Congolese lives don’t improve as a result (p.175). During a civil war, Heineken uses its collaboration with a group of criminal rebels to get rid of a large number of its workers and avoid paying the correct severance package. The beer brewer then proceeds to ignore their complaints for more than fifteen years but continues to highlight in public that it has no greater asset than its personnel (p.237). Production was lower than usual, since many workers had been killed or fled, but still Heineken succeeded providing large parts of the country with freshly brewed beer (p.199). In many countries, I found the same type of behaviour, from having ties with authoritarian regimes to violating advertising codes, from engineering mass redundancies to reduce taxation (p.218). Heineken in Africa is an excellent book, one that underlines the importance of taking a long-term, historical perspective when assessing corporate engagement in Africa and highlighting the nuances of how multinational companies operate in what is all too often labelled as a ‘difficult’ environment. Van Beemen’s particularly strength lies in the fact that he not vilifying a company or making blanket claims about the ‘evils of capitalism’ and yet provides ample of food for thought for assessing the private sector’s role for ‘sustainable development’. Heineken’s impact of local labour markets is smaller than what one might expect, its interest in accountability when it comes to the host countries is weak and ‘corporate social responsibility’ not more than an evolving buzzword. Heineken recently received significant tax breaks and subsidies for setting up a new brewery in Mozambique and it will be interesting to observe whether and how its engagement with local economies has changed in light of the recent flood disaster. From an academic perspective, Van Beemen’s book is another fine example of Hurst’s ability to publish excellent research on Africa with a keen eye on how historical developments affect contemporary society. 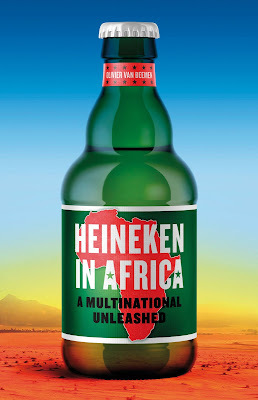 Heineken in Africa will not only be suitable for critical development studies courses, but can easily be added to reading lists of economics courses and even business schools. 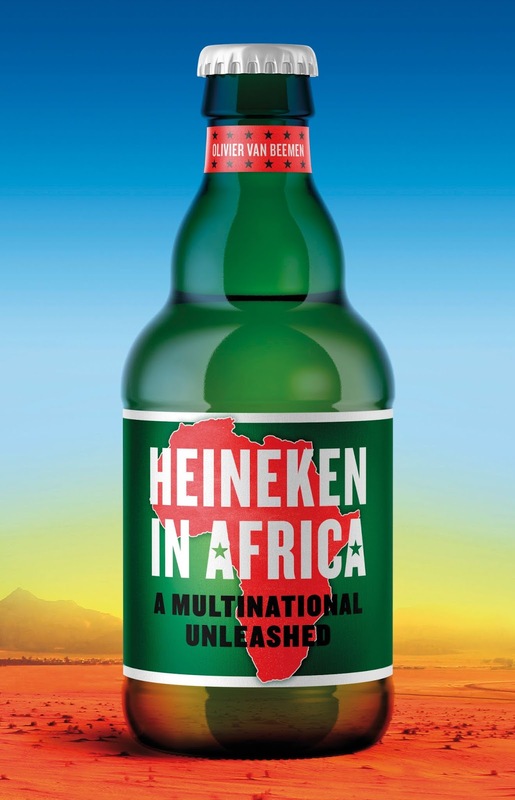 Van Beemen, Olivier: Heineken in Africa: A Multinational Unleashed. ISBN 978-1-8490-4902-3, 240pp, 20.00 GBP, London: Hurst, 2019.